Excellent retail premises split over two storeys on one of Ramsbottom's primary retail highways, directly facing St Paul's Church. 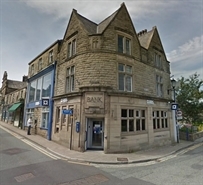 The property was formerly utilised as a bank and extends over basement, ground, first and second floors. The upper property offers opportunity for an upper floor conversion STPP.